The BMW G 450 X is a motorcycle exclusively developed for enduro sport and the most demanding competitive races in the world. It’s a machine that is ready to compete the moment it arrives from the factory. The engine with the latest fuel injection and computer-controlled three-way catalytic converter is Euro III homologated and already meets the vehicle emissions standards which are becoming ever more rigorous today for sports events as well as for road vehicles. 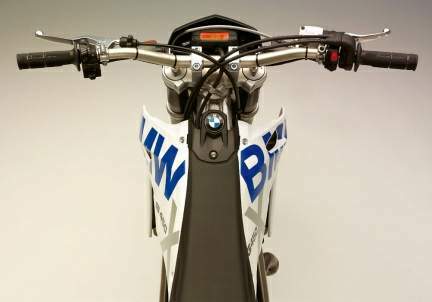 With these measures BMW Motorrad is also taking a further step towards public acceptance of enduro sports in the future. The patented, unrivalled technical features of the new BMW G 450 X make it a driving force and contribute to the advancement of technological competition in this segment. The introduction of the tough enduro BMW G 650 Xchallenge has already pointed the way: with a frame and swing arm layout for improved offroad traction, low weight, compact chassis and dynamic engine. BMW Motorrad goes still further with the BMW G 450 X and is not content with constructional features traditionally seen in the class. High-tech solutions have been realized in both the engine and chassis in keeping with the cross-country sporting tradition of the house and giving the marque a fascinating exclusive off-road profile. The concept of the BMW G 450 X is based on keeping the mass concentrated as near as possible to the center of gravity and realizing a vehicle configuration that adapts perfectly to the requirements of off-road sport. The central element of this concept is the amalgamation of the bearing axle of the rear-wheel swing arm with the axis of rotation for the driving pinion so there is no change in length of the chain on compression and rebound, minimizing the effects of the final drive on the vehicle’s response. Further consequences of this unequalled technical approach are a noticeably longer swing arm for the same wheelbase as the competition and, with it, maximum traction bringing concrete advantages in enduro sport with its extreme demands on rider and machine. Fundamental to the overall plan is the saving in length through the alliance of the swinging bearing and pinion rotation axis. Not only does it enable a longer swing arm, but the modern high-performance DOHC single-cylinder engine with an output of 50 bhp could also be positioned further to the rear. The cylinder was more strongly tilted to the front, thus creating space for long, straight intake tracts. In this way an ideal position was reached for the fuel injection nozzle and dual throttle valve fuel injection system. This also contributed to adapting the engine to meet the requirements of the Euro III exhaust gas norm without loss of performance, which is anything but standard in this motorcycle category. Further concept advantages include optimum protection of the airbox and voluminous air flow due to its placement above the engine in front of the seat. One consequence of the resolutely implemented, centralized concentration of masses close to the centre of gravity is the 8.5-liter tank under the seat. The filler manifold is positioned below an opening in the rear part of the seat. The reserve function is signaled by a warning lamp in the cockpit. The development of the BMW G 450 X focussed on the ergonomic shape and design of the active riding configuration. Starting from the steering head to the rear section of the seat, the machine has an extremely slender waist¬line exactly where the rider sits, offering maximum freedom of movement. Especially in a standing position, the rider benefits because the absence of the tank at this point provides unrestrained clearance and the motorcycle can be kept appreciably slimmer. 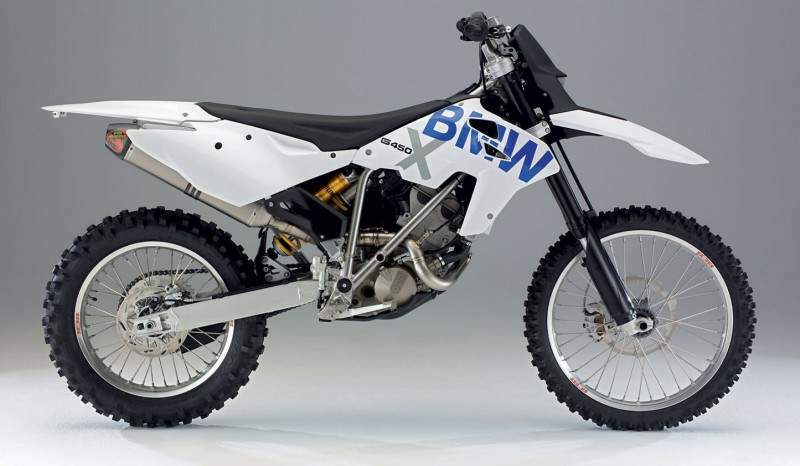 In this configuration the G 450 X is the first BMW enduro to be uncompro-misingly developed for professional competitive racing. Like no other vehicle, the advantages of the unique construction features are revealed to the full in rugged off-road conditions; features such as the effective concentration of the masses around the center of grav¬ity, the engine effects eliminated by the unique swing arm mounting, the resulting low wear of chain and pinion, the extreme handling reminiscent of a 250 series motocross motorcycle with prodigious tracking stability, the low weight, the powerful engine and the high-technology spring elements that offer the ambitious enduro sports rider a number of package and design benefits in hard competition plus limit-less riding pleasure. Measured by the options it incorporates, the G 450 X is the most powerful off-road BMW of all times for hard offroad riding. 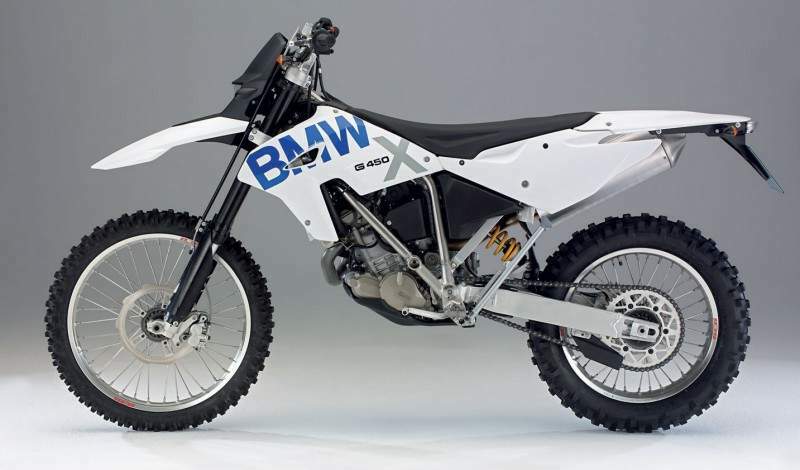 A dedicated team of specialist engineers and mechanics, who have also taken part in intensive off-road sport privately for many years, has developed this new model for BMW Motorrad under the motto “from passionate professionals for passionate professionals”. The BMW G 450 X continues the off-road expertise in the field of professional enduro sport already consistently realized in the BMW G 650 Xchallenge. It weighs about 40 kilograms less than the G 650 Xchallenge for roughly the same output and, from the first draft to the last detail, is perfectly tailored to the requirements of the ambitious and success-oriented enduro sports rider. As a completely special and absolutely exceptional motorcycle, the BMW G 450 X is a genuine sports machine and it goes without saying that it has all parts required for MOT approval as standard. This means that – unlike other vehicles in this class – it’s no problem to ride the BMW G 450 X to the track on its own two wheels. 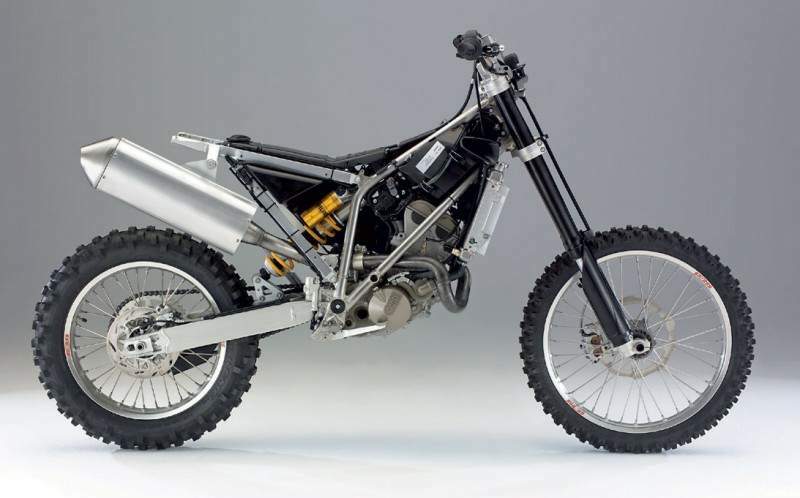 The innovative, patented technology of the single-cylinder sports enduro concept was put to the test in all relevant highly-competitive events through-out the 2007 season by experienced and successful racing professionals such as Sascha Eckert, Simo Kirssi and Joël Smets who were able to harmonize and further develop the concept. Today the motorcycle comes ready for offroad racing and competitions at the highest level and with approval for public road traffic without further modification straight from the factory. Thanks to great traction at low revs, smooth engine output and fast revving, superior riding qualities with extremely light handling, best balance in slow “trial” sections and enormous stability at higher speeds, not only professional or well-versed enduro riders, but even enduro sport novices have no problem in mastering this racing motorcycle. To corroborate the extremely sporty enduro qualities, BMW Motorrad has a works racing team that already took part in different Enduro sports events with the G 450 X during the test phase and will continue to race it in the Enduro world championship of the E2 class for example, or the German cross country championship (GCC). n the current state of off-road motorcycles, there are few firsts. New models are mostly updated copies of copies with originals brought in every third or fourth revision. Thankfully, with the arrival of the BMW G450X, that sequence has been interrupted. Every aspect of the 450's engine has been developed for a specific purpose and benefit. The countershaft sprocket and swingarm spin on the same centerpoint, allowing for a longer swingarm and increased traction and stability. The motor is thus placed farther rearward in the frame, tilted farther forward to raise the mass, moving it as close to the bike's center of gravity as possible. It's all about balance and ease of movement. The crankshaft and clutch also share a common centerpoint, which means the smaller clutch spins 2.6 times faster than a traditional design. The engine placement allows for a long, straight intake tract for the dual-throttle-body EFI system. Fuel is held under the seat with filler access via a pop-in cover and screw cap. Two different seats (regular and short) are available, and the handlebar mounting position is mega-adjustable to fit small to large pilots. While the engineering is unique, the performance mirrors traditional bikes. As we thumbed the starter button (there is no kickstarter) and pulled onto the trail outside the Spanish mountain town where the international press launch was held, the 450 quickly lived up to BMW's powerhouse reputation. In stock configuration the delivery is smooth and strong with the driveability of a smaller-displacement bike, and when needed the bike comes alive and accelerates into a long top-end. For bonus power, BMW offers a plug-in patch that adds 11 more horsepower. So set up, the bike rips with full-on motocross ferocity, completely filling in any soft spots in the stock, emissions-friendly programming. The pull on the cable-actuated, diaphragm-spring clutch is manly, and engagement is solid and quick-there isn't a lot of fudge room. It's easily modulated, but a little tiring on the digits. Suspension consists of a Marzocchi fork and linkageless hlins shock, but the stainless-steel hanger frame feels rigid with minimal flex and wallow. Setting sag is ultra-important. The bike doesn't squat in the rear, and if anything, the seat feels higher than most, reluctant to settle under acceleration or when entering corners. This could have been caused by the Metzeler Six Days Extreme tires, though. By the time we called it quits for the day, I'd come to appreciate the front suspension. Initially, the fork felt stiff and tended to deflect in true trail situations, but it stayed up in the stroke and resisted bottoming sweetly, even over motocross jumps. Production bikes will feature 15 percent less initial compression damping for a plusher ride. 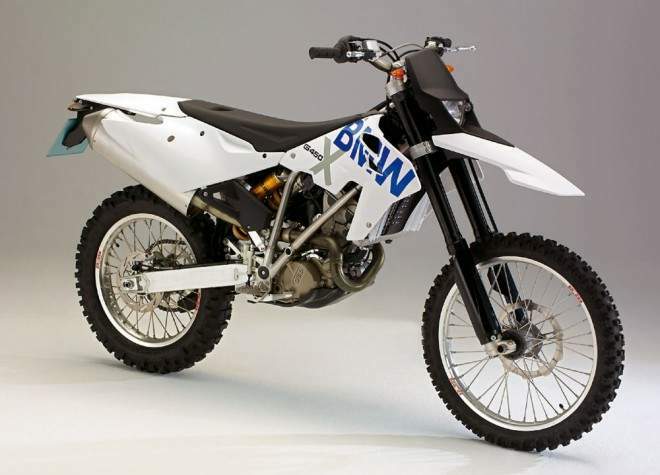 Overall, the venerable German manufacturer's first real dirtbike is stable and capable of accelerating with the best of them. The biggest problem I had was with the right-side engine guard, which I kept stepping on thinking it was the rear brake pedal. That had me sailing past a few corners and right by some surprised photographers! The unknown surrounds this bike. As of press time, we're told the G450X will be 49-state street-legal with California close behind. We don't know if the machine will come with the alternative mapping plug-in installed or available from dealers; if it will be offered in a competition-only race model (like KTM's XC line); or even what it will cost. So, we'll wait. And impatiently look forward to a time when we'll have a truly new test bike in our garage.